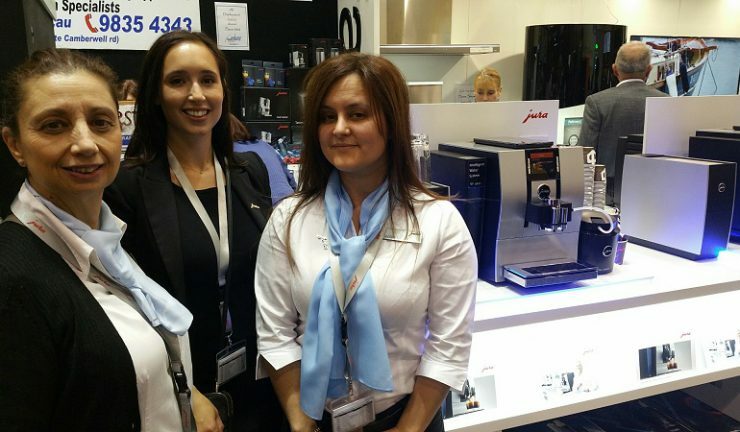 Camberwell Electrics exhibited at the Melbourne Home Show over the weekend, presenting several brands including Smeg, Liebherr refrigeration, Falcon cookers, Franke sinks, Falmec rangehoods, Schweigen cooking, Daikin air-conditioning and Hydronic heating and solar. There was more than eight Camberwell staff on the stand at peak times, in addition to at least eight supplier representatives. 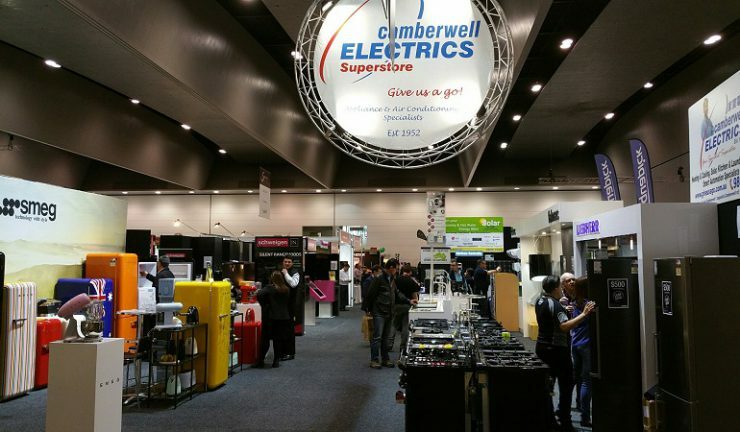 Camberwell Electrics owner, Hans Vanderstadt said, “As a solution retailer for those building and renovating, the Show allows us to discuss our customer’s needs and begin a relationship with them. We will often sell them the appliances and solutions they need, months sometimes a year, later. The Camberwell Electrics team had Smeg appliances and fridges on display. 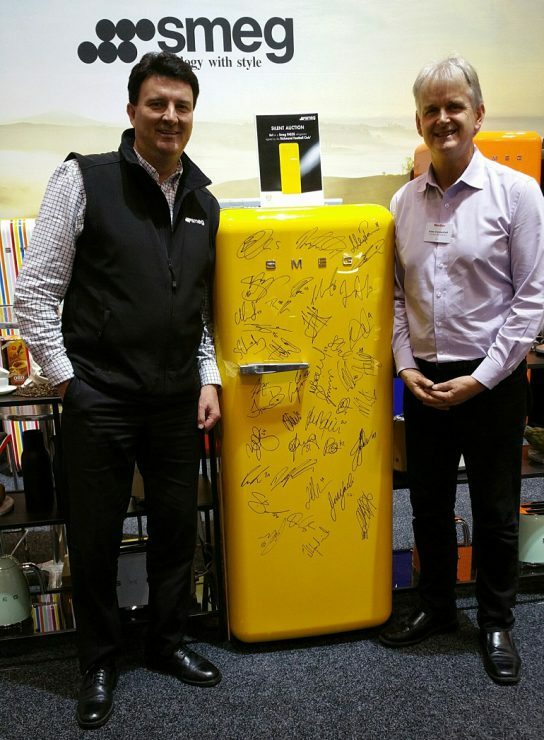 In conjunction with the Richmond AFL Football club, the FAB28 yellow fridge was signed by players on silent auction. All proceeds will be donated to the Alannah Madeline Foundation.